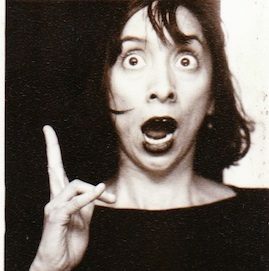 Brenda Arellano is a performer and devisor based out of Oakland, CA and is happy to be back in Chicago for a spell. She was an ensemble member of the Chicago Neo-Futurists, as well as the San Francisco Neo-Futurists. She was also in the performing ensemble with Barrel of Monkeys and has performed with Chicago Children’s Theater, The House Theater, and Teatro Vista, as well as the monthly live lit event, Paper Machete. Recent credits in the Bay Area include Berkeley Repertory Theater’s Ground Floor Summer Lab (2016 and 2018), as well as performing as a hospital clown for Medical Clown Project. Brenda loves to travel and claims to not fear death, but still gets a little sweaty when turbulence hits.